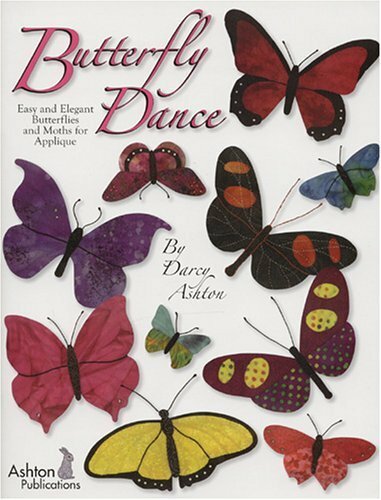 Butterfly Dance is a beautiful book which contains more than 40 different butterfly and moth patterns, two paper cut patterns, and a page of caterpillars. These patterns are large and easy to sew from just one big piece of fabric, or make them from several different fabrics. The choice is yours to make them as easy or as hard as you wish. Five different appliqué techniques are described in the book as well as 11 different quilts and projects including "Butterfly Dance", "Moonlit Moths", "Pretty in Pink", "Antique Beauties", and "Metamorphosis".